Venetian Bay Golf Club has a new general manager, whose wealth of experience will be perfect for the New Smyrna Beach, Fla., golf club. Bill Shiles, a 23-year veteran of the golf industry, takes on the new role, excited for the direction he can take the club. "Bill Shiles has the leadership, expertise and high power to support take Venetian Bay to the [next] level,” said Tony Cianco, senior vice president of operations at Billy Casper Golf, according to the Daytona Beach News-Journal. “His influence on programming indicates even higher member and guest satisfaction." Before taking on this new role, Shiles managed the 54-hole Sea Trail Golf Resort in Sunset Beach, N.C. -- a property with 475 members, two restaurants, 40,000 square feet of convention space and 300 rental condos. 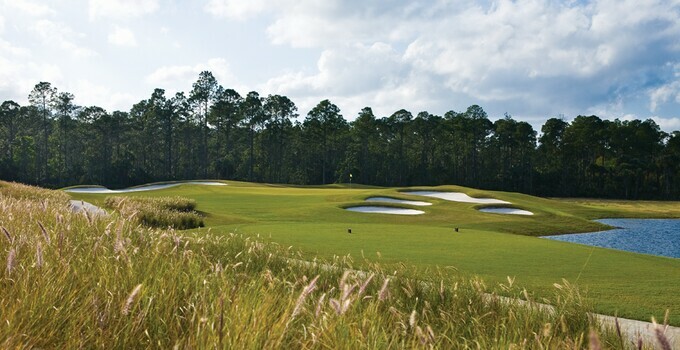 Venetian Bay Golf Club is an 18-hole, par-72 course developed by Clifton, Ezell & Clifton Golf Design Group that plays to a max length of just under 7,100 yards. The course has four sets of tees, wide fairways with plenty of bunkers and water on more than a dozen holes. It also has a practice area that includes a driving range with target greens, a large putting green and a chipping area with a sand bunker.